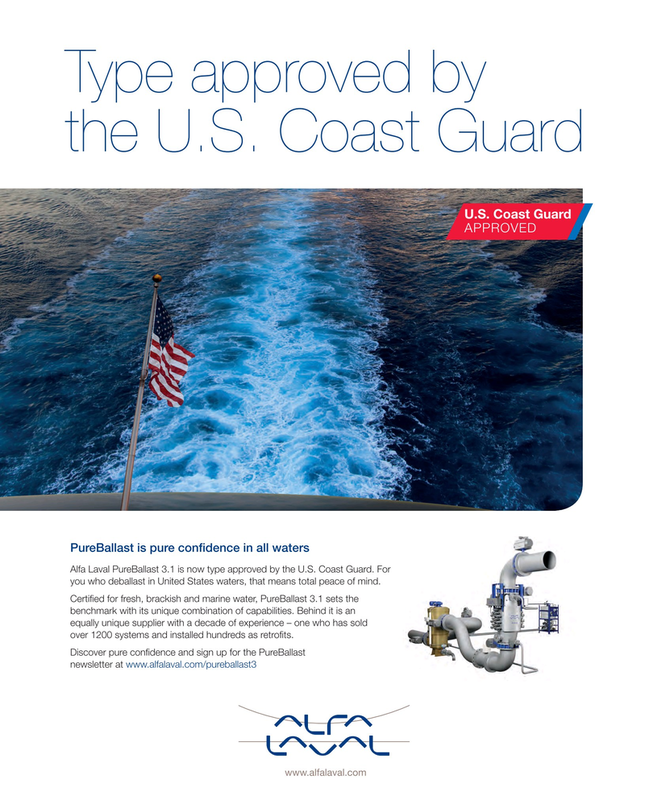 Alfa Laval PureBallast 3.1 is now type approved by the U.S. Coast Guard. For you who deballast in United States waters, that means total peace of mind. Certi?ed for fresh, brackish and marine water, PureBallast 3.1 sets the benchmark with its unique combination of capabilities. Behind it is an equally unique supplier with a decade of experience – one who has sold over 1200 systems and installed hundreds as retro?ts.